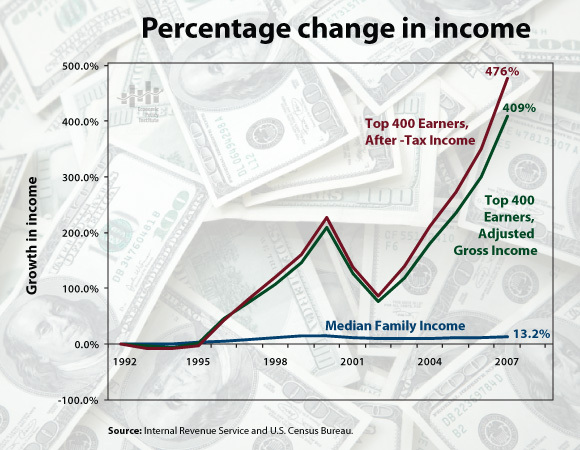 Lawrence Mishel of Economic Policy Institute uses IRS data to show it’s good to be really rich, to be median not so much. This is not a good trend -this won’t end well. When the large mass of people labor and do not significantly get wealthier, while a narrow elite of 400 households dramatically takes command of increasing chunks of the economy, bad things will eventually happen.